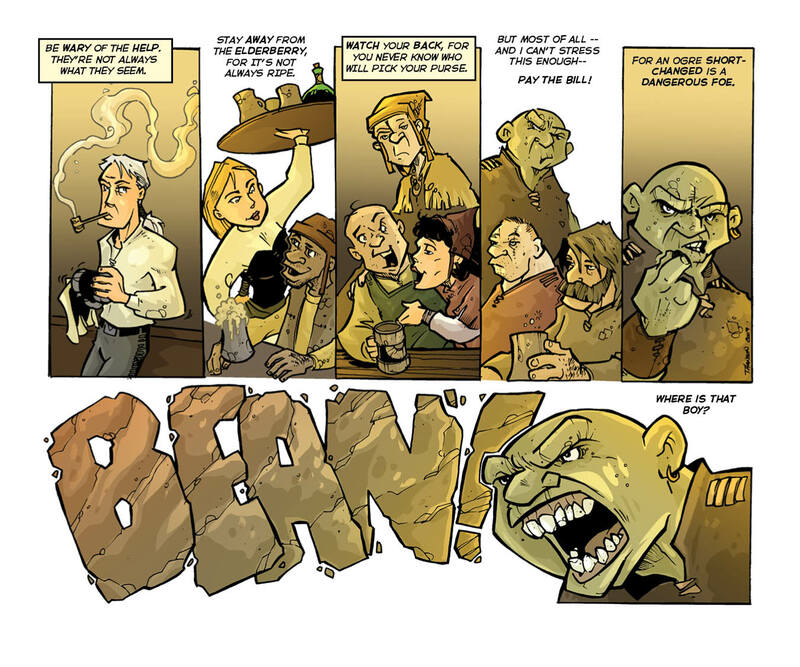 Here is the next page of the bean in color. It is a labor of love and a slow process, but as more and more people join our patreon campaign that allows me to be able to dedicate more time. For only a $1 update you can also become a patron of the arts. The colors look great. I love how they add so much depth to the font in the last panel. Holy crap and a half, those are some awesome colours! I love that last panel. The craggy font gives a great indication of his voice. thanks i struggled about how was the best way to tackle that.